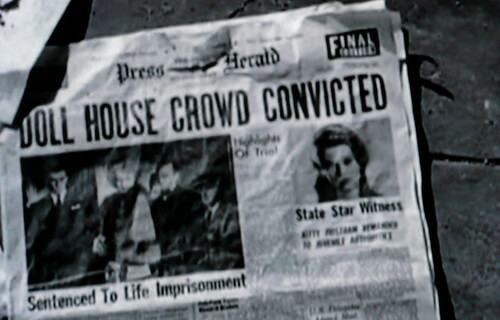 Doll House Crowd Convicted, originally uploaded by moley75. This is a poor screengrab of the final few seconds of Walk on the Wild Side (1962). The dollhouse in question is a brothel. nicely spotted! btw, you know how in the Firefly pilot Mal and Wash quote the Beatles 'Cry Baby Cry', from The White Album. Well, that album was originally going to be called 'In a Doll House'. True.